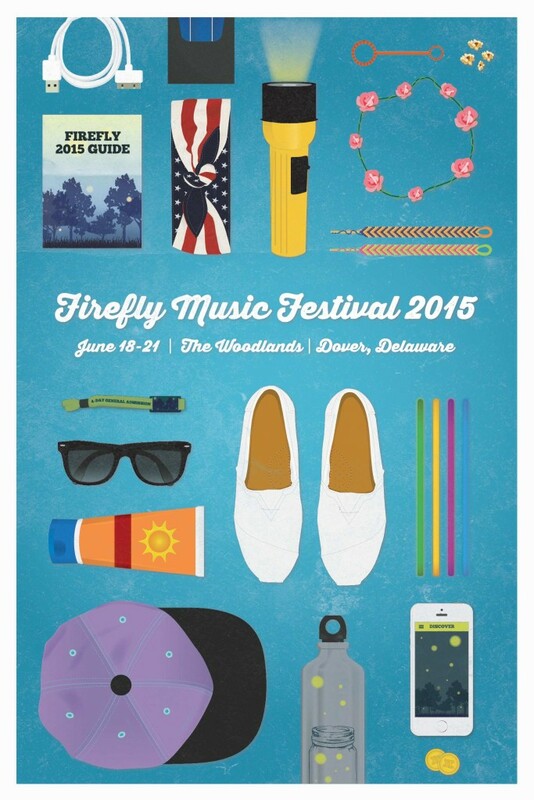 I entered this design in the 2014 Firefly Music Festival Poster Contest and won the Fan Favorite vote. Out of over 200 entries, my poster was chosen as one of 20 to be eligible for fans to vote on. I took my experiences at the 2013 Firefly Festival and represented that in my design. The camping, the big hot air balloon, beach balls bouncing around the crowd, etc. 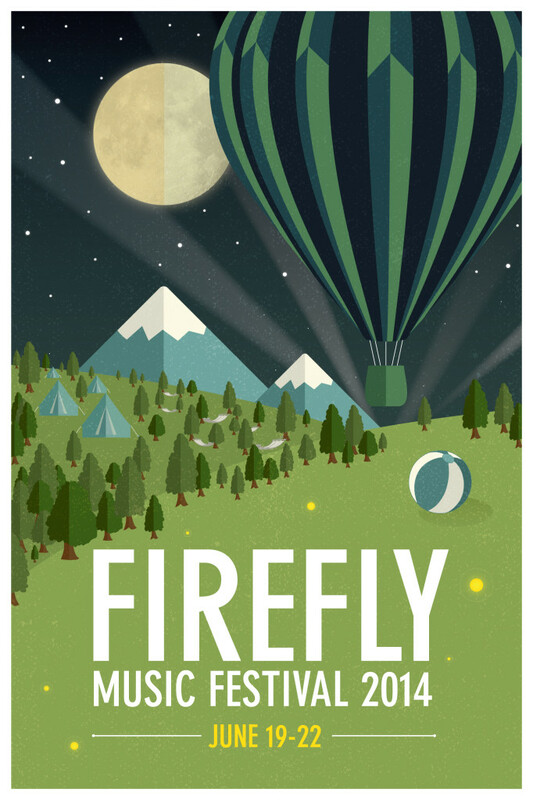 I entered this design in the 2015 Firefly Music Festival Poster Contest and was chosen as a contestant for the Fan Favorite vote. Although this design did not win, it was a fun project to work on, drawing inspiration from the various items many festival-goers wear/use.